Cargo terminal operator and Cargill rival Santos-Brasil S.A. announces has the green light to conduct viability studies for a R$9 billion expansion project at the Port of Santos, it announced yesterday. Cosan and Rezende Barbosa, the holding company of the Nova America group, announced the creation of Rumo Logística, a company focused on sugar and grain logistics. Rumo will have a static storage capacity of 435 million tons and annual shipment capacity of 8.5 million tons of sugar or grain. It will be located at the Port of Santos, in the state of São Paulo. The Inter-American Development Bank has already prepared a prefeasbility report on the project. The recovery of Santos — nearby Cubetão was once the most polluted place on earth, and clearing the city of organized crime will someday prove to have been quite a story as well, I will wager — might be worth a book someday. I thought I remembered Santos-Brasil also recently closing a deal to lease and expand a port in Southern Brazil, but just try to search through the corporate actions databases of the Bovespa and the CVM to jog your memory. Frustrating experience. Brazil’s government withdrew eight state-run port companies from the national privatization docket (PND), according to a decree published by President Luiz Inácio Lula da Silva in the official gazette Diário Oficial da União. 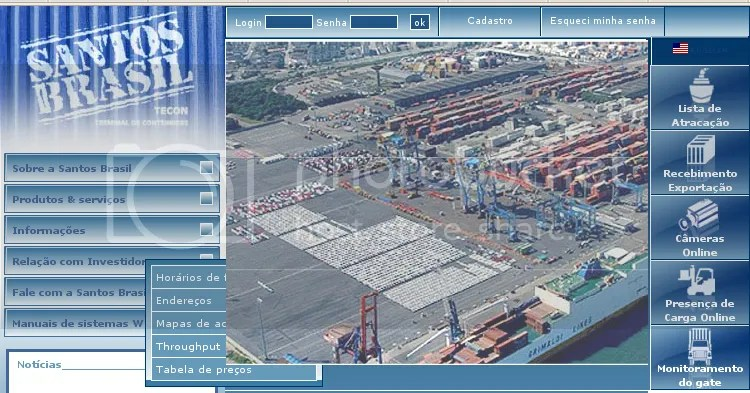 Among the companies withdrawn was Codesp, authority at the country’s busiest port, Santos. The decision was made to accelerate bidding processes for other projects in the sector. I call reading that the state government here in São Paulo wants to renegotiate the state’s stake in port operations with the federal government — part of the fiscal maneuvers in anticipation of those Santos Basin oil royalties, among other things, probably. Vague recollection, however. Do not bet the farm. Considerando o expressivo crescimento do comércio exterior brasileiro nos últimos anos, a previsão de que tal crescimento se mantenha em níveis elevados e o conhecimento técnico e de gestão da Santos-Brasil S.A., subsidiária integral da SBPar, na área portuária, a SBPar solicitou à Companhia Docas do Estado de São Paulo – CODESP, Autoridade Portuária do Porto Organizado de Santos, autorização para realizar os estudos necessários para a aferição da viabilidade do aproveitamento de áreas situadas na margem esquerda do estuário de Santos para exploração de atividade portuária. Given the substantial growth in Brazilian foreign trade in recent years, the prospect that this rate of growth will continue, and the technical and managerial expertise of Santos-Brasil S.A., a wholly owned subsidiary of SBPar, in the ports sector, SBPar has asked CODESP (the Companhia Docas do Estado de São Paulo), the Santos port authority, for authorization to conduct the studies necessary to determining the commercial viability of areas situated on the left bank of the Santos estuary for port operations. “Trampa”, que em espanhol significa fraude, trapaça, é uma das palavras mais ouvidas nos últimos dias nas ruas de Assunção. Denúncias de manipulações diversas e um histórico de corrupção e uso ostensivo da máquina pública em favor do Partido Colorado sustentam a desconfiança geral da população sobre a legitimidade das eleições de domingo para a Presidência do Paraguai. Trampa, which in Spanish means fraud or cheating, is one of the words most often heard in recent days in the streets of Asunción, Paraguay. Charges of various manipulations and a history of corruption and open use of the machinery of the public administration in favor of the ruling Colorado party sustain a generalized distrust among the population about the legitimacy of Sunday’s elections of the Paraguayan president. 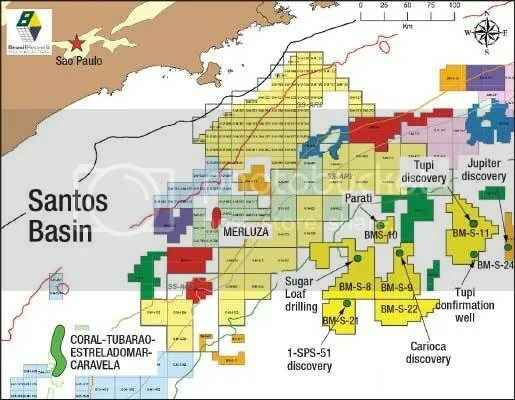 Citing press reports published in World Oil magazine, the official made some “what if” remarks at Vargas Foundation conference about the best-case scenario for Petrobras’ latest “subsalt” discovery in deep water. Petrobras shares were up big that day. What was not disclosed was that the man is chairman of the board of a large private education concern, the Rede Pitagoras. Now, as far as I know, Pitagoras is a competent and successful player in a dynamic market that is as large as the tourism market here in Brazil. But the resemblance to the Intel fake news case in the U.S. a couple years back is striking. In that case, a Fox news subsidiary ran a “video release” by Intel as if it were its own original work. In that (plagiarized) piece, Genevieve Bell was identified as “Genevieve Bell, anthropologist.” But in fact, Genevieve Bell was an anthropologist employed by Intel. Welcome to Academic Integrity 2.0. Let me just note the Bovespa man’s remarks for the record, then translate an excerpt from Kauffman’s analysis. O diretor de Operações da Bolsa de Valores de São Paulo (Bovespa), Ricardo Pinto Nogueira, afirmou hoje que não havia motivos para a Bolsa brasileira suspender os negócios com as ações da Petrobras na última segunda-feira (dia 14), quando, durante o pregão, o diretor-geral da Agência Nacional do Petróleo (ANP), Haroldo Lima, falou que as descobertas da área Pão de Açúcar, explorada pela estatal na Bacia de Santos, poderiam ser até cinco vezes maiores do que o volume de Tupi, na mesma bacia. “Quando ficamos sabendo das declarações do diretor da ANP, as ações já tinham subido”, disse. Para ele, uma decisão da Bovespa para suspensão dos negócios da Petrobras, naquele momento, poderia ser mais prejudicial do que benéfica aos investidores. “A pior situação é suspender os negócios no meio do pregão. O investidor fica perdido”, completou. “By the time we learned of the ANP director’s remarks, the shares were already up,” he said. In his view, had the Bovespa decided to suspend trading at that moment, it would have been more prejudicial than beneficial to investors. “The worst thing possible is to suspend trading in the middle of the auction. The investor gets lost,” he said.